Device Compatibility: iPhone 6, iPhone 6 Plus, iPhone 5/5S/5C and iPad 2 or later series. Note: First of all, you will need to jailbreak your device to use WhatsApp Web Enabler. Install WhatsApp Web Enabler from BigBoss repository in Cydia for free. This tweak supports most of the iOS version (iOS 4 to iOS 8). Launch Cydia on your jailbreak device and Install WhatsApp Web Enabler. You will see the kill switch right on top on the tweak. Switch on the enable button. 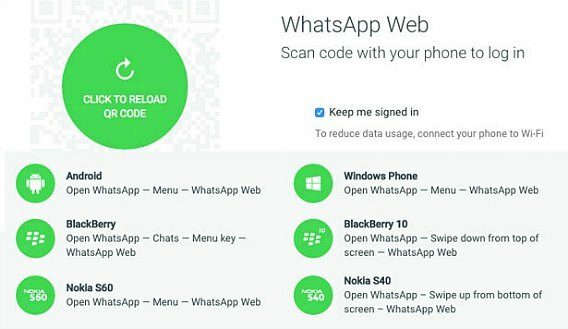 It will force close WhatsApp and reopen it. Go to Setting tab and click on WhatsApp Web then hit “OK”. Go to your computer and open up a new browser page and type in whatspp web.com. Scan the QR code which appears on the website by using your iPhone. You got it! Now you can enjoy using WhatsApp Web for your iPhone. WhatsApp Web is so easy to access and you can enjoy your chatting and read text on big screen. As long as your device remains connected to WhatsApp, you can enjoy your chat time by using the Web version. Note: The device must connect to Wi-Fi or cellular for stay enjoy WhatsApp Web with your friends.